According to the U.S. Census Bureau, nearly one in four seniors is a veteran. This fact is a testament to the dedication and bravery of older generations, and also a reminder of how tumultuous the last century was. The destructive wars of the century may have faded from America’s collective consciousness, but those who were there, and those who lost a friend or family member, will never forget. Nearly one-million brave servicemen and women died defending the United States during our nation’s history. 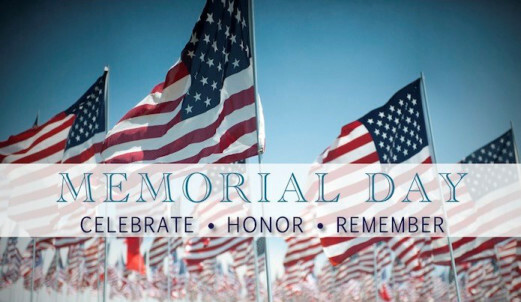 Memorial Day is an opportunity to honor these Americans who made the ultimate sacrifice. It means that, as long as there is a U.S., they will never be forgotten. This weekend our cities will be decorated in bunting and the American flag will be flying along downtown streets all across America. There will be memorial ceremonies held at National Cemeteries, and small local cemeteries, where veterans are buried beneath broad, manicured grounds marked with long, regimented rows of white marker stones. It is not wars that we are remembering with this national holiday. 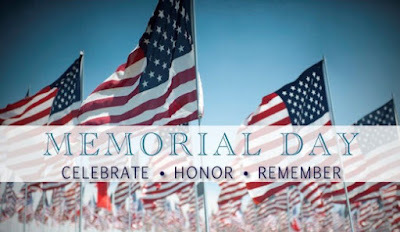 Rather, we are remembering those who served and those who gave their last full measure of devotion in order to insure that the freedoms that this country offers to all would be able to be passed on to the next generations. We remember them because they tell us something of our human dignity. They remind us of the cost of freedom and of the quality of our character as a nation. We do not gather on this holiday to glorify wars. Rather, we are challenged to remember that when war comes unbidden to us, there are those who are willing to give their all to defend this nation. Deep down we want to remember in the hope that we will find ways to prevent wars and never again have to fight them again. There is, among veterans, no more hoped for desire than the desire that their own sons and daughters will never have to suffer the terrors of war, or the effects of war. All veterans hope and pray that their war will be the last war.